This entry was posted in Fibromyalgia, Fibromyalgia, Chronic Fatigue, MCS, Food for thought, Health & Healing, Life Altering Conditions, Mind-Body, Personal Reflection, Psychology, Ya Gotta Have Heart and tagged 12 hears symptoms not to ignore, Carolyn Thomas, chronic illness, heart attack, heart disease, Johns Hopkins University Press, Living with Heart Disease by Carolyn Thomas, my heart sisters blog, woman's heart health. Bookmark the permalink. I for one did NOT know that heart disease was the number 1 killer of women. Thank you for all this valuable information and book recommend. I am going to check out her blog…. Most people think cancer is the number one killer because it gets so much press. Heart disease has long been the number #1 killer of women in large part because all the initial research was done on men and women can have completely different symptoms. The other factor is that both physicians and we women ourselves tend to dismiss symptoms for a variety of reasons (you’ll have to read Carolyn’s blog!). Wow! 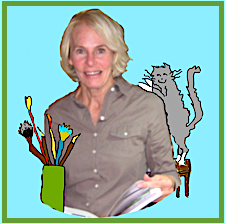 Thank you Judy-Judith for such kind and generous comments about my blog and my new book! It’s so lovely to encounter this kind of response. So thank you once again for being the practical and skilled wordsmith you are, and for your generosity of spirit! You are more than welcome and deserve every comment I made. Your blog and book should be a must read for everyone. You have put your heart (literally & figuratively) into helping women and men understand about living with heart disease and by extension all chronic conditions.